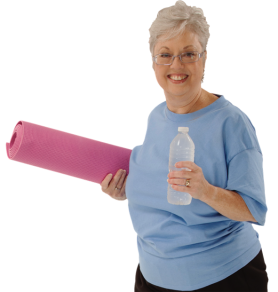 Senior members are welcome to join all fitness classes as well as three special classes offered in the SilverSneakers program: circuit, yoga and cardio. 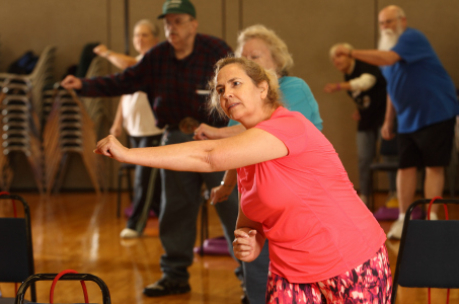 The SilverSneakers classes are a great way to meet new friends, exercise and stay healthy! 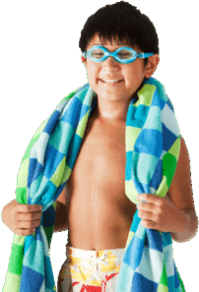 Have fun and move to the music through a variety of exercises designed to increase muscular strength, range of movement and activity for daily living skills. Handheld weights, elastic tubing with handles and a ball are offered for resistance; a chair is used for seated and/or standing support. The class includes the blending of 3 yoga styles creating a harmony of movement for the whole body. It is taught from seated and standing positions, enhancing restorative breathing, muscular endurance, flexibility, balance and over all well being of self.